Featuring over 400 easy-to-make seasonal recipes, with individual chapters for picnics, salads, barbecues, lunches, suppers, entertaining, desserts, ice cream and drinks. To serve as an adult drink, simply add a little rum, gin, or vodka. Combine 1/2 cup of sugar (add more sugar if you like your lemonade sweet) with 1 cup of water. Heat it in a microwave for 1 minute to dissolve the sugar and pour into a large pitcher. Puree the watermelon cubes in a blender. Put the puree through a strainer to remove the pulp and seeds. 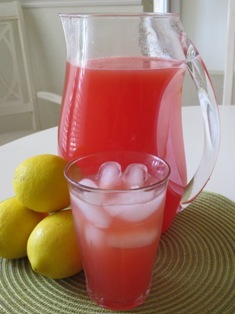 Add the watermelon juice to the pitcher along with thelemon juice and about 7 cups of water. Stir to combine and serve in glasses over ice. 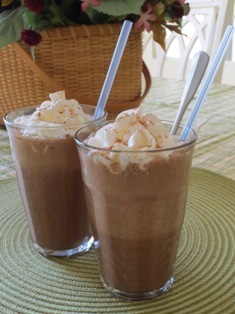 Combine the chocolate syrup and coffee in a blender. Add the vanilla gelato or ice cream; blend until smooth. Add about 1 cup of ice; blend until smooth. Pour into tall glasses. 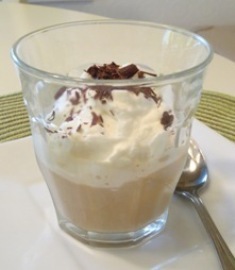 Top with a dollop of whipped cream and sprinkle with cinnamon. Serve immediately. In a large pitcher, stir together the orange juice and seltzer water. Taste for sweetness; add more sugar if desired. Pour the soda into 6 tall glasses, about halfway. Put 2 scoops of gelato in each glass. Add more soda to fill each glass to the top. Serve with long spoons and straws. Puree the raspberries in a food processor. Strain through a sieve into a bowl; discard the seeds. There should be about 2 cups of puree. In a large pitcher, combine the raspberry puree, sugar, and lemon juice. Add the seltzer and stir to combine. Place several scoops of strawberry gelato in a tall glass. Top with some of the blueberries. Fill the glasses with the raspberry seltzer mixture. Serve with long spoons and straws. Remove the chilled peach pureee from the refrigerator. Add the lemon juice, peach schnapps, crushed ice and Prosecco to the peach puree. Pulse to combine the ingredients. Equally divide the mixture into champagne flutes and top off with additional Prosecco. Garnish with thinly sliced peach wedges (optional). 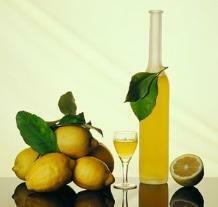 Limoncello is one of southern Italy's best-known drinks. Limoncello adds sweet tang to bubbly, blended, or on-the-rocks cocktails. 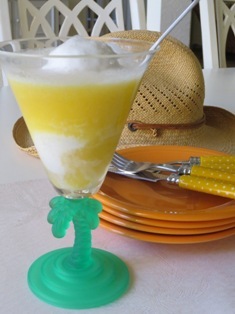 Serve these refreshing, easy-to-make summer drinks to keep you cool on a warm summer day. Try our creative twist on a classic lemonade recipe, our fruit-flavored and kid-friendly sodas, a simple and delicious iced coffee, or a frozen version of the classic bellini cocktail.